MotionNode Bus is a wearable network of 3-DOF inertial measurement units (IMU) for use in motion capture applications. Our MotionNode Bus system is compact, easy to use, and yields accurate orientation tracking results. The portable network of sensor nodes is powered and controlled by the host unit. The host unit collects data and provides wireless connectivity to your PC. A rechargeable battery supplies power to the entire network. Each MotionNode Bus includes two batteries and a charger to minimize down time. Please download the MotionNode Bus Specification sheet for more detailed information. Place an order online for shipping within 1-2 business days. The bus hosts a wired network of MotionNode Miniature Inertial Measurement Units. The bus controller collects data from all connected sensors and publishes it in real-time. The bus is configurable to support from one to twenty sensors. 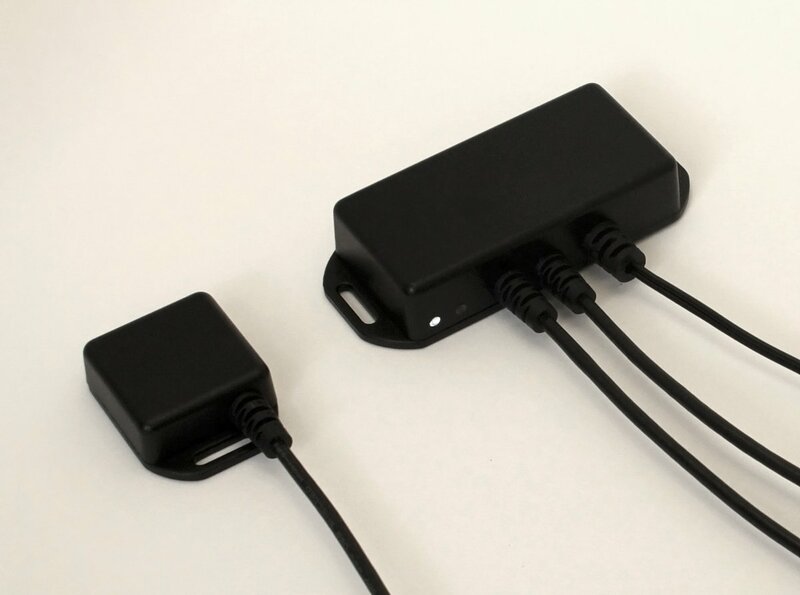 The controller supports from one to four chains of sensors for convenient wiring. Sensors can be added to or moved within the bus with ease. 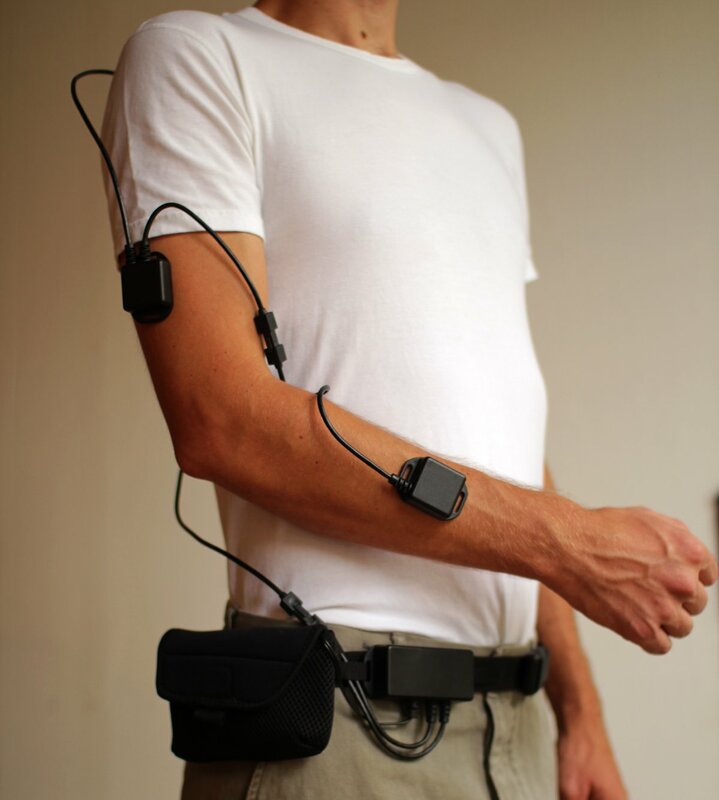 The MotionNode Bus is also available as Shadow , a complete wearable sensor network for motion capture. Each MotionNode module in the network uses nine high quality sensors to compute an accurate and stable orientation. One accelerometer, one gyroscope, and one magnetometer contribute real-time data for each of the three axes. The orientation data is available for export to a number of formats, including the industry standards FBX and COLLADA. For more detailed information about the MotionNode software package, please visit our documentation page. If you have any questions regarding the MotionNode system, please contact us.